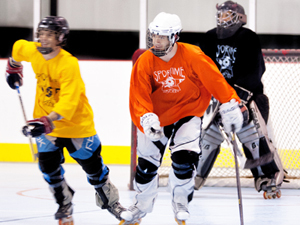 SPORTIME Bethpage Multi-Sport is Long Island's premiere indoor multi-sport complex. Our state-of-the-art, 45,000 square foot facility features one regulation roller hockey rink (185' x 85'), two NCAA regulation basketball courts, five competition volleyball courts, a full-size soccer and lacrosse field, a practice rink/field for children, a twenty foot high, free-standing rock climbing wall, changing rooms, locker rooms with showers, a concession stand and a viewing mezzanine. The facility also features competition sportcourt surface, indirect lighting and climate-control. Children and adults may take advantage of a wide variety of instructional, recreational and competitive programs in basketball, volleyball, roller hockey, dek hockey, lacrosse and soccer. Programs include league play, weekly clinics, open play, court and field rentals and sport-specific tournaments. Adult and children's sport parties, Bar and Bat Mitzvah celebrations and corporate outings are also offered. CALL TO FIND OUT MORE>> Please contact us at 516-731-4432 or jsiegel@sportimeny.com. We are happy to answer any questions about out facility and programs. SPORTIME Bethpage is open year-round: Hours vary with the time of year. On major holidays, club hours may vary. Please call ahead. During Summer Months, the facility is closed on Saturday. SPORTIME Bethpage Multi-Sport is located conveniently on Hempstead Turnpike. Map it. 1. Member pricing on open play sessions. 2. Registration priority for all league programs. 3. Multiple team league discounts. 1. Free open play all summer long. 2. Member pricing on all summer clinics and camps. 4. 10% off all merchandise in the Quickset Volleyball Store. Club Amenities: 2 inline hockey rinks/soccer fields/lacrosse fields; 5 competition volleyball courts; 2 NCAA basketball courts; party areas; men’s and women’s locker rooms with showers; adult and junior clinics and leagues; children’s summer camp. 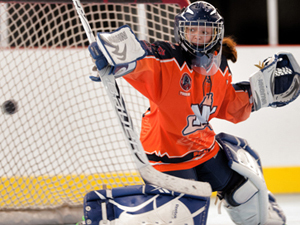 Summer Hockey Camp Registration NOW OPEN! Adult Summer Leagues begin Thursday, June 7th. Multiple Co-Ed Divisions and Women's Division. Full Teams and Free Agents Welcome.